Here is just a quick mosaic with the finished quilts from 2014. I'm very proud of all these beauties to be honest. I made all of these!!! I am also very excited about 2015 and all the things to come. 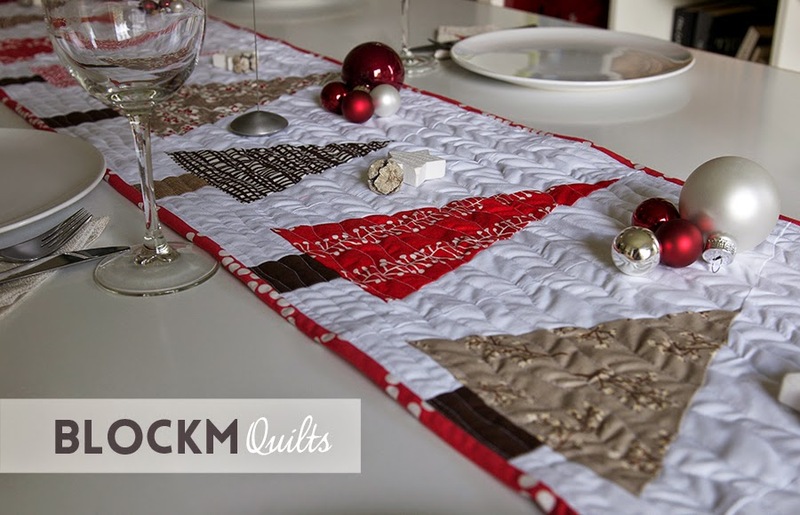 A published Christmas table runner! Oh, I'm very excited to show you my very first publication today! Oh Mann, ist das aufregend, ich kann euch heute meine erste Veröffentlichung zeigen! I have been asked by the German Patchworkgilde if I wanted to contribute towards the latest issue of their magazine with a theme of 'Modern Christmas'. I didn't have to think twice. Of course I wanted! Als ich von der Patchworkgilde gefragt wurde ob ich zum Thema Modern Christmas etwas beisteuern möchte musste ich nicht lange überlegen. The only problem was that I had never sewn something for Christmas before and now I needed to submit photos within 4 days, well then.... a few late night sewing sessions later I had it done. Das einzige Problem war dass ich noch gar nichts weihnachtliches genäht hatte und nur 4 Tage Zeit hatte bis zum Einsendeschluss von Fotos. Ein paar nächtliche Nähstunden später war ich dann aber fertig. I decided to make a table runner for my kitchen dining table. I made improv Christmas trees with assorted brown and red fabrics from my stash and despite my white dining table top I opted for a white background fabric. I then chose a bright red binding so that the table runner really stands out and the red 'pearl bracelet' fabric by Lizzy House was just perfect for it. Ich habe mich für einen Tischläufer entschieden und dafür rote und braune Stoffe aus meinem Vorrat benutzt. Trotz des weißen Esstisches habe ich einen weißen Hintergrundstoff gewählt, der mit dem knallroten Binding aus dem roten 'pearl bracelet' Stoff von Lizzy House aber perfekt passt. 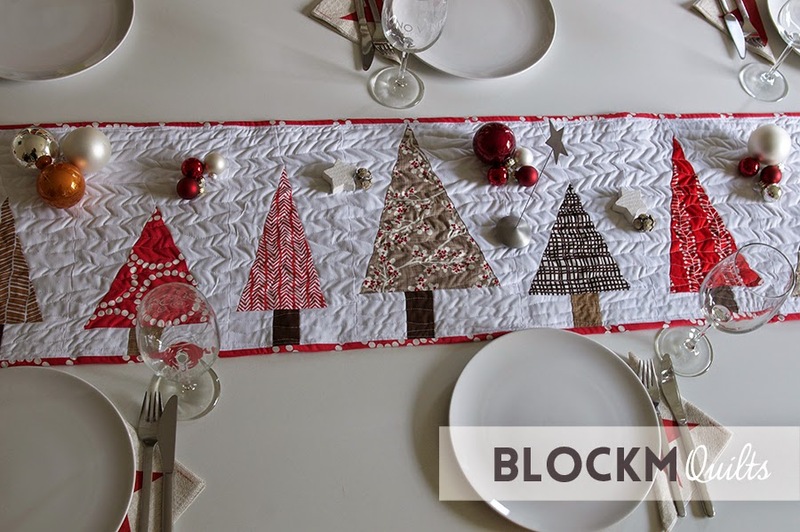 In the magazine is actually a tutorial by Brigitte Heitand of Zen Chic who explains exactly how I did my modern Christmas trees for this table runner too. 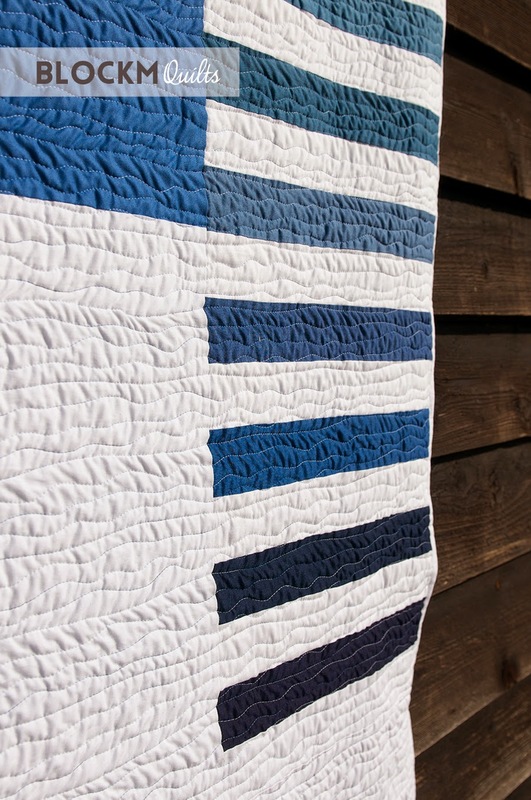 There's actually another great tutorial by Christa Watson of Christa Quilts using the same method. Im selben Heft gibt es auch ein Tutorial von Brigitte Heitand of Zen Chic wo genau erklärt ist wie ich auch meine Weihnachtsbäume genäht habe. 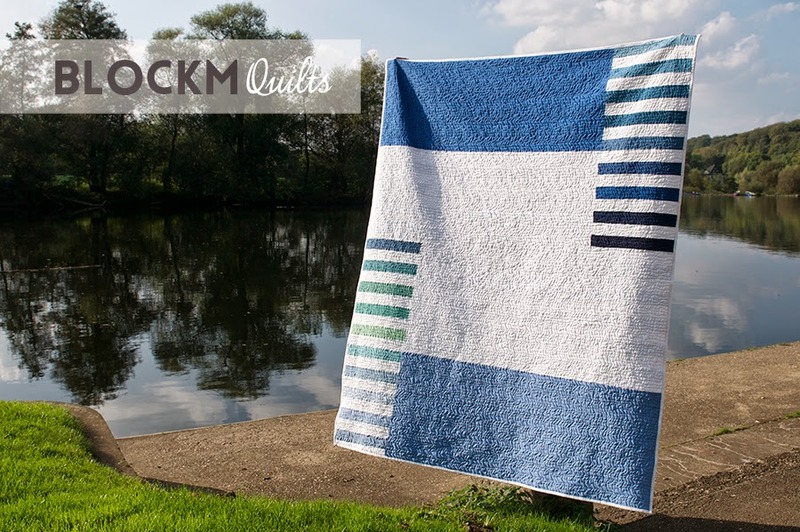 Es gibt außerdem hier ein Tutorial von Christa Watson of Christa Quilts wo das auch noch einmal erklärt wird. It actually was strange to get out all Christmas decoration in mid October to take the photos, but it also really made me look forward to Christmas! 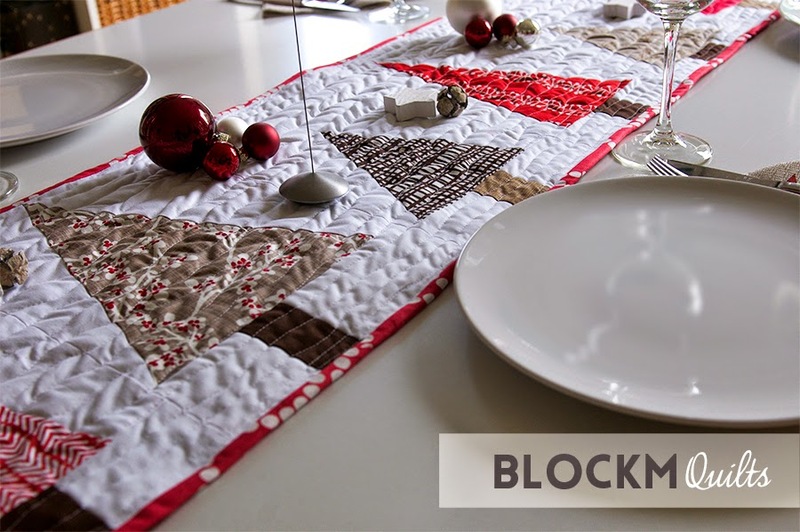 Es war schon ein bisschen komisch Mitte Oktober den ganzen Weihnachtsschmuck für die Fotos rauszuholen, aber seit dem habe ich mich sehr auf Weihnachten gefreut. 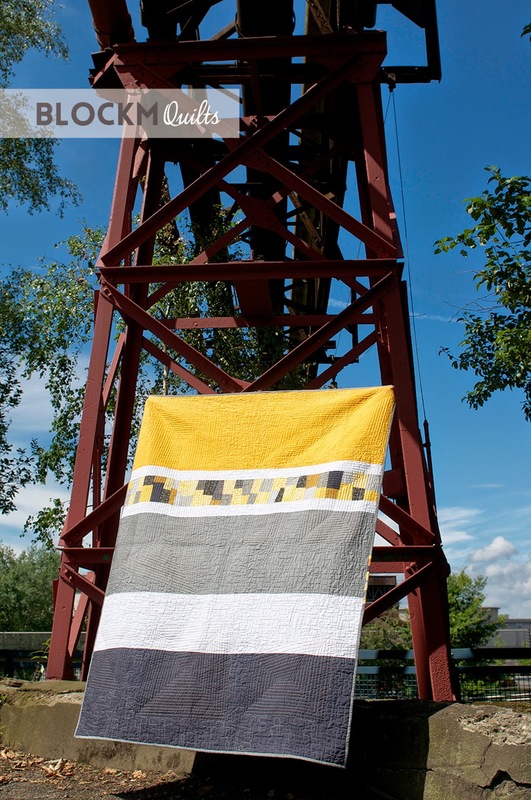 The table runner is roughly 40 x 190 cm / 16 x 74'' in size and here it is again in all it's beauty! Der Tischläufer ist ca. 40 x 190 cm groß und hier noch mal in ganzer Schönheit zu sehen! I just want to take the opportunity to wish you all a peaceful and happy Christmas! Ich wünsche euch allen ein friedliches und frohes Weihnachstfest! I'm linking this with the German Montagsmacher! Around The World Blog Tour - Welcome to Germany! I have been nominated by my Blogger friend Sarah of Cedar Fork Stitches for this Around The World Blog Tour all the way from Montana, USA. 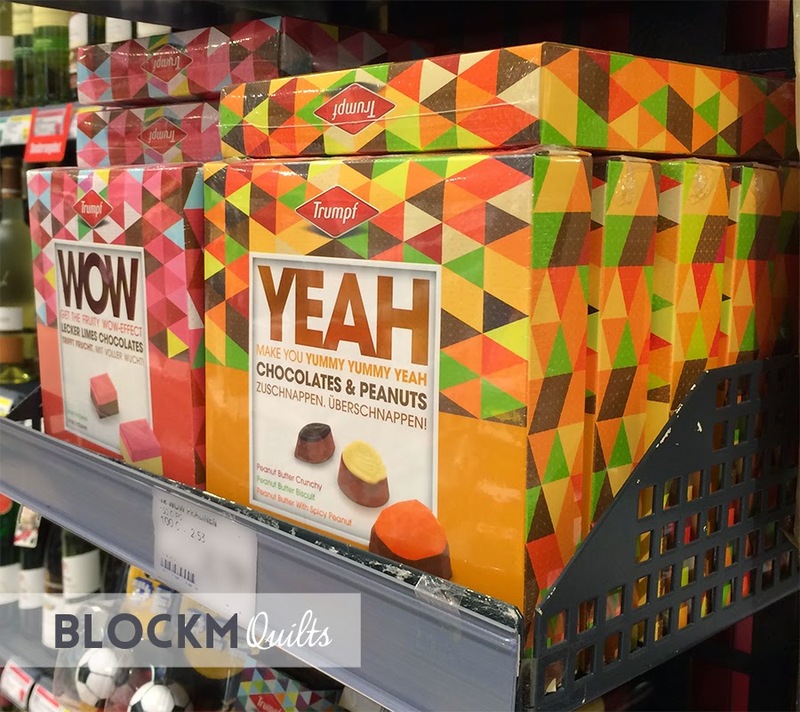 She did a great blog post, so go and have a look! How does your writing/ creating process work? Inspiration is everywhere. Before I started quilting... well, I won't say that I didn't take much notice of the world I live in but since I started sewing quilts I see quilt patterns everywhere! In advertising for example. 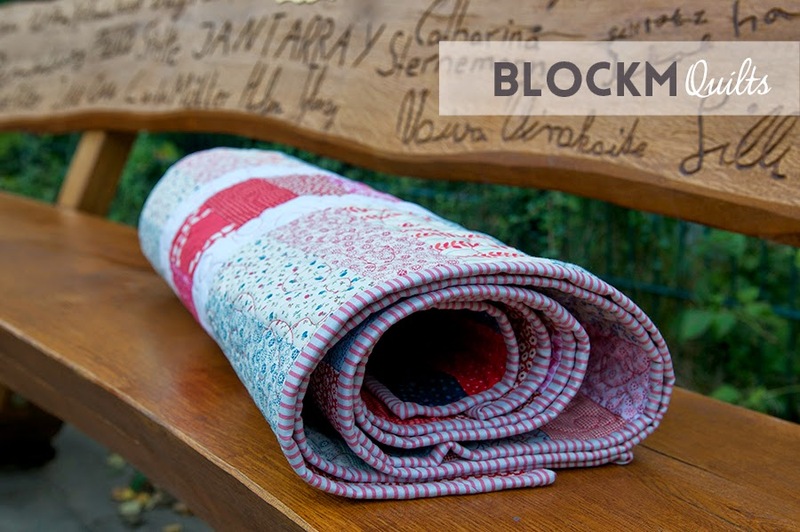 Some pavements would make great quilts! A trip to Ikea can make me all excited as there are suddenly five quilts I want to make! There's also inspiration in people's clothing or bags. Therefore I always have a small sketch book with me to quickly sketch what I've just seen or even take a sneaky photo with my mobile phone. 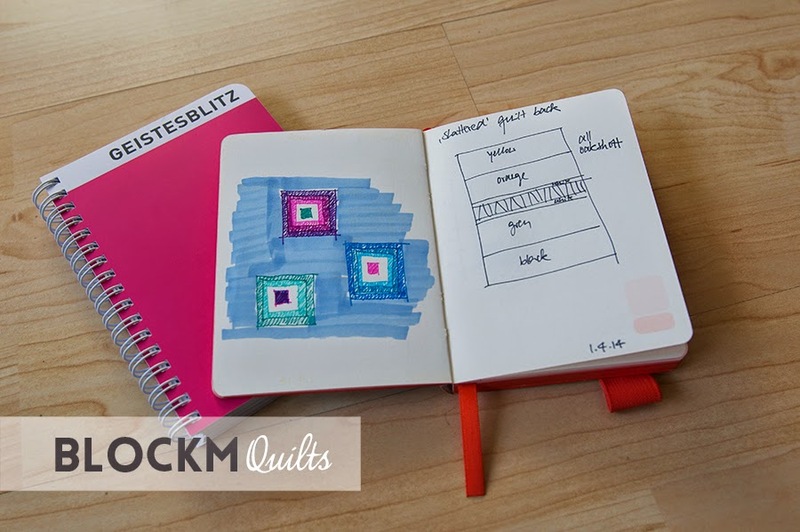 I also use the sketch books to simply put my thoughts on paper, and most importantly draw up the quilt designs. I also have some great books where I draw my inspiration from. Most of them I bought during my honeymoon in May 2013 in the States (most people probably buy clothing and souvenirs, I bought quilting books and fabric!). 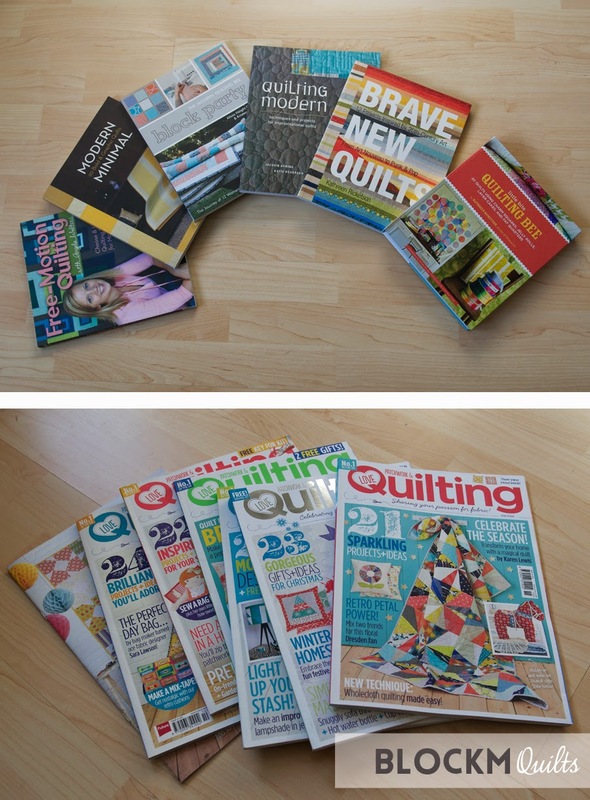 My husband gave me a subscription to the Magazine 'Love Patchwork & Quilting' as a Christmas gift last year, this is such a great magazine! 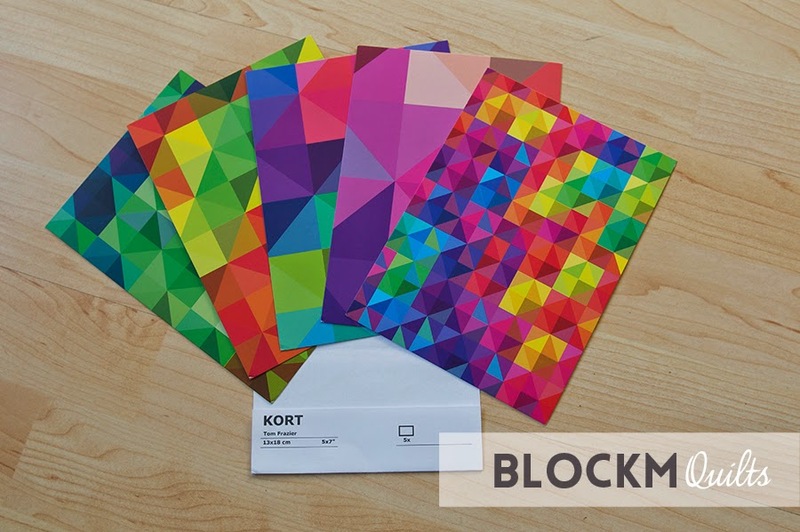 I also follow endless creative blogs, I love Flickr and I'm active there as well. 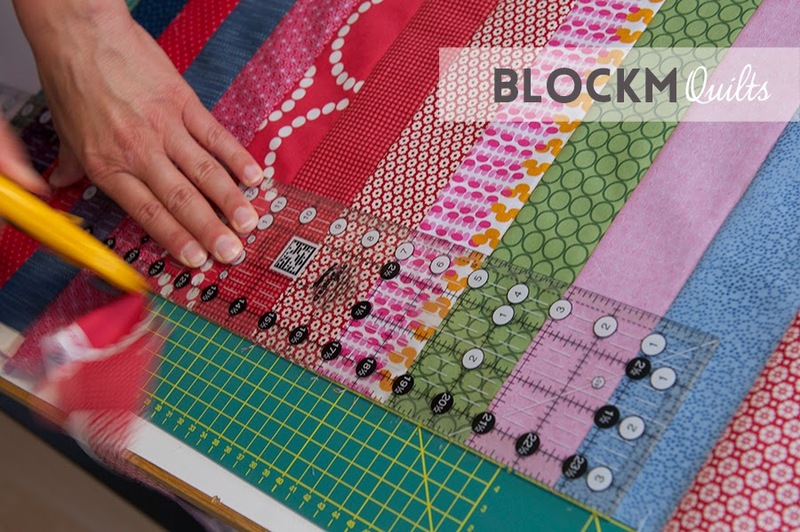 The online quilting community is such a great place to dive into! So I am constantly collecting ideas; with some of them eventually materialising into quilts and other things I sew. Well, that's a difficult question. I'm only quilting for 1.5 years so I guess I haven't found my own style yet. I always try to come up with something unique in my quilts, something I haven't seen before even if it's a pattern that has been done by other quilters lots of times I try to make it my own. 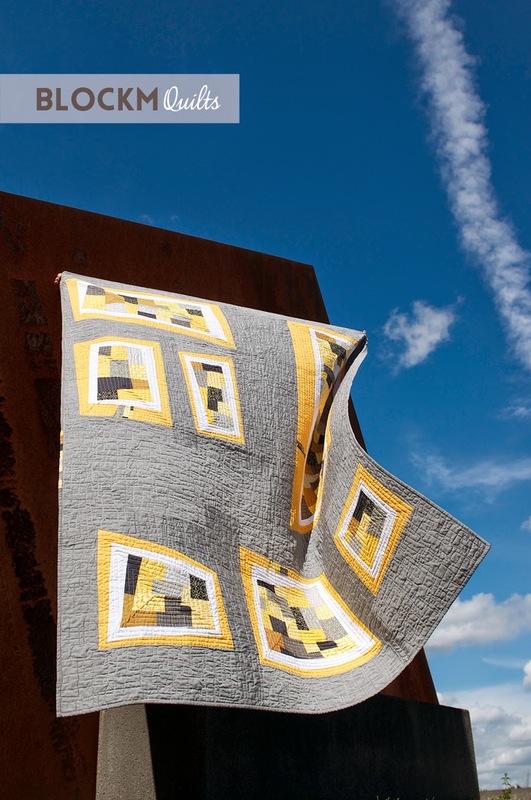 My Phoenix quilt for example was inspired by the 'Ice Blue Quilt' by Jacquie Gering and Katie Pedersen from their book 'Quilting Modern'. I used the crazy piecing technique and followed the basic principle of the quilt blocks but made the quilt my own. 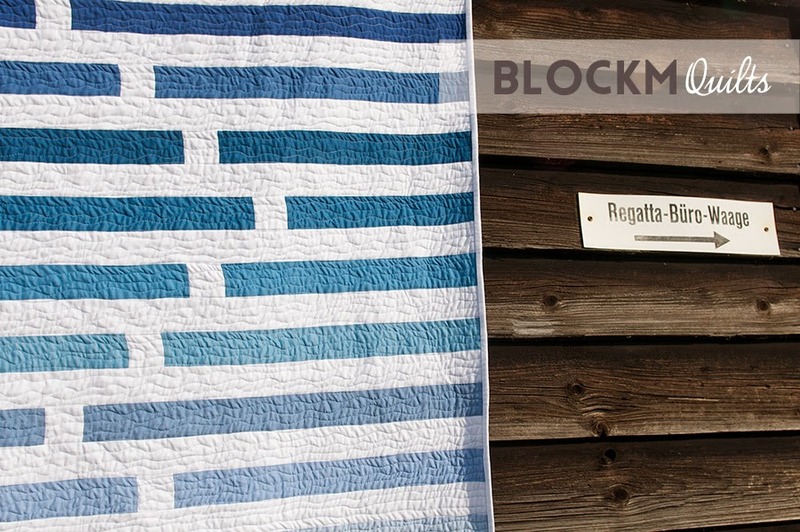 As for my Regatta quilt: this quilt was inspired by the 'Step Lively' quilt by Kathreen Ricketson from her book 'little bits Quilting Bee'. 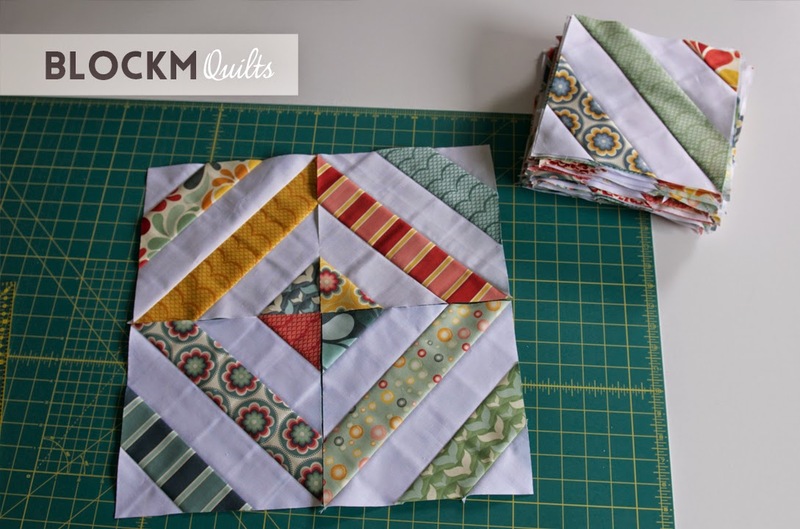 I used the same piecing principle but took a completely different approach on the design. 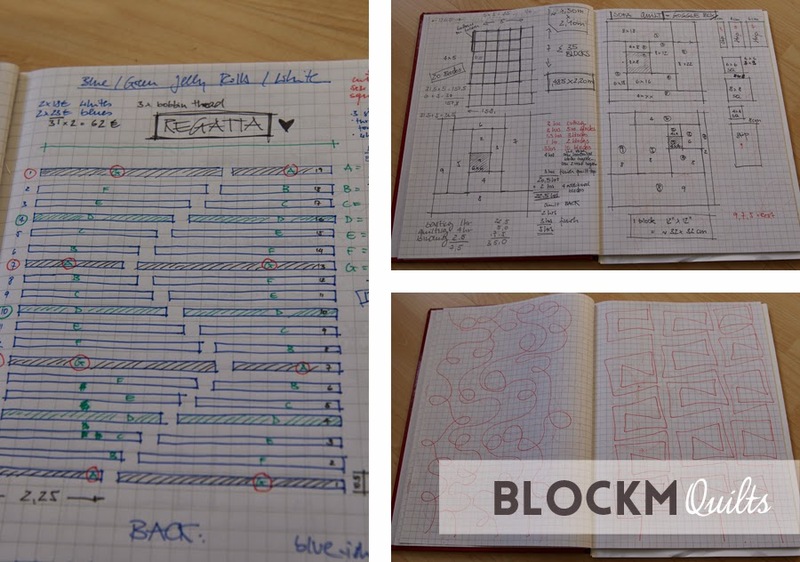 But I'm also happy to follow tutorials and work from patterns if I like the design. 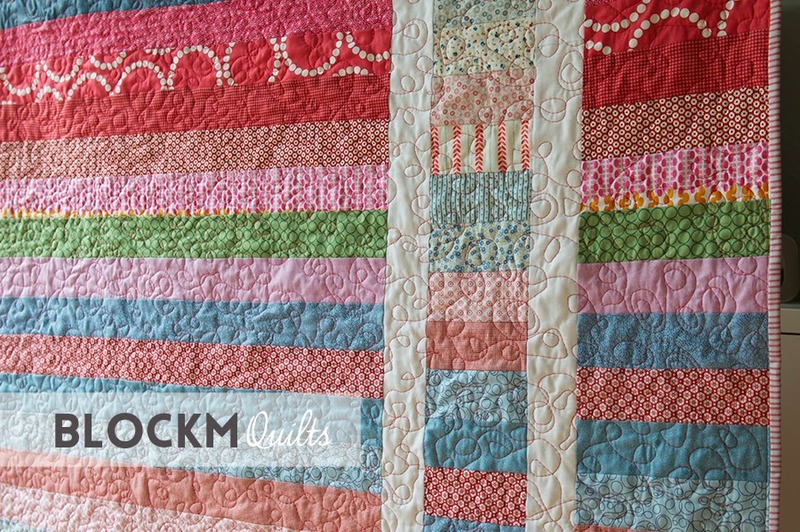 There are so many beautiful quilt and block designs out there by so many talented people, so why not make one of their designs? And I still consider myself a beginner, continuously practising different piecing methods and free motion quilting. 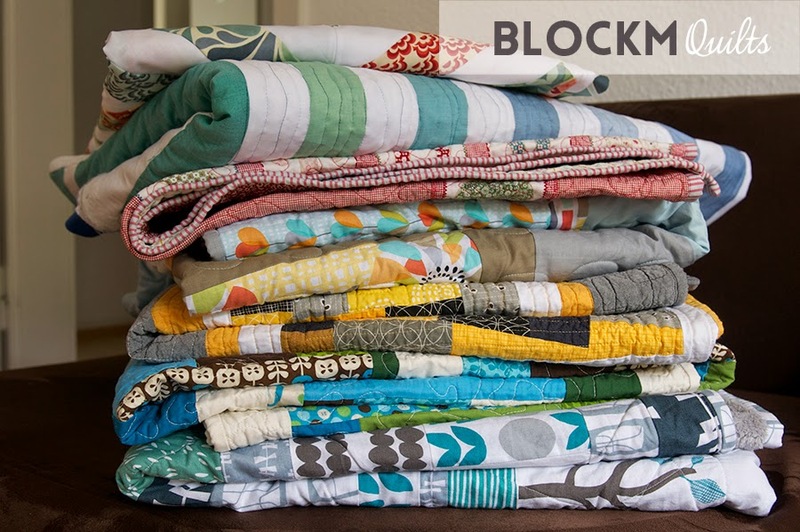 So far I have used different quilting designs on all my quilts and I am not afraid of trying something new and to continuously expand my quilty comfort zone. So I don't really know what I do differently to others, I guess I just try to make great quilts! Oh, there are so many things! I have finished my 'Sea Breeze' quilt top, I had a QuiP about it in summer. 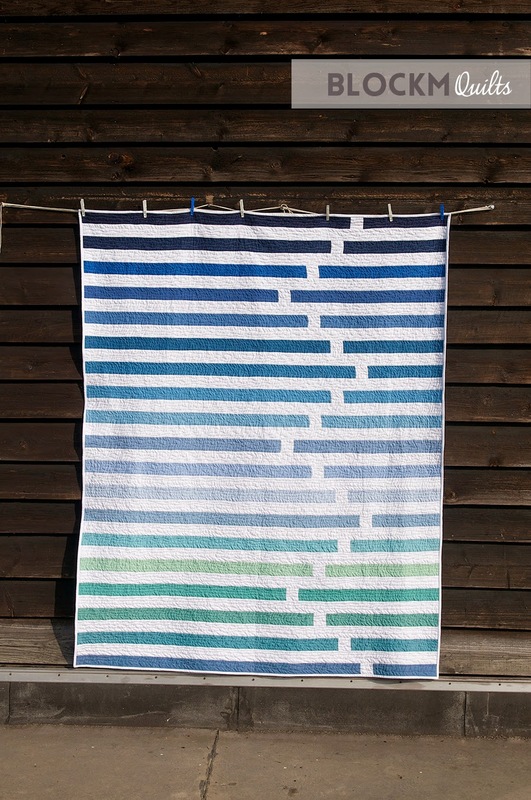 I just can't decide on a design for the back, and since this is quite a summery design and a small quilt size I guess this can wait until spring. At least that is done on time! Furthermore there is this plus quilt I am working on that I have 3/4 of the blocks already finished and I hope to have the quilt done by the end of this year. And I also started crocheting (or 'croshiting' like my mother in law puts it). My dear friend Eva made a loop scarf herself which I admired a lot. I asked her if she would show me how to do it. So I just bought some wool and a needle and started. Despite my aversion towards wool and knitting from a primary school crafting class trauma I guess some 30 years after that I'm finally over it. It's actually fun and at the moment I enjoy sitting on the sofa, cuddled up in a quilt and crocheting away. Why do I write/ create what I do? As an architect I am drawn to clear lines, shapes and the simplicity of things in general. 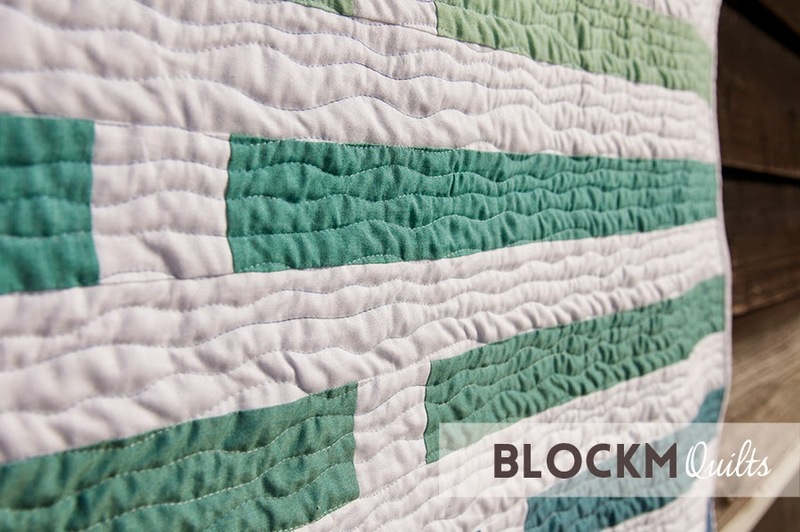 I tend to have a minimalistic approach in my quilt designs (that's actually the 'M' in blockMquilts!) and try to follow the principle of ' less is more' (quote by star architect Mies van der Rohe). Studying architecture was a lot of fun, it's very creative and I could expand on my design skills, make 3D drawings, renderings, make models of my designs and set out drawings and presentations. College projects aren't real, so you can go a bit crazy on them as no client needs to be convinced and doesn't have to pay for it. 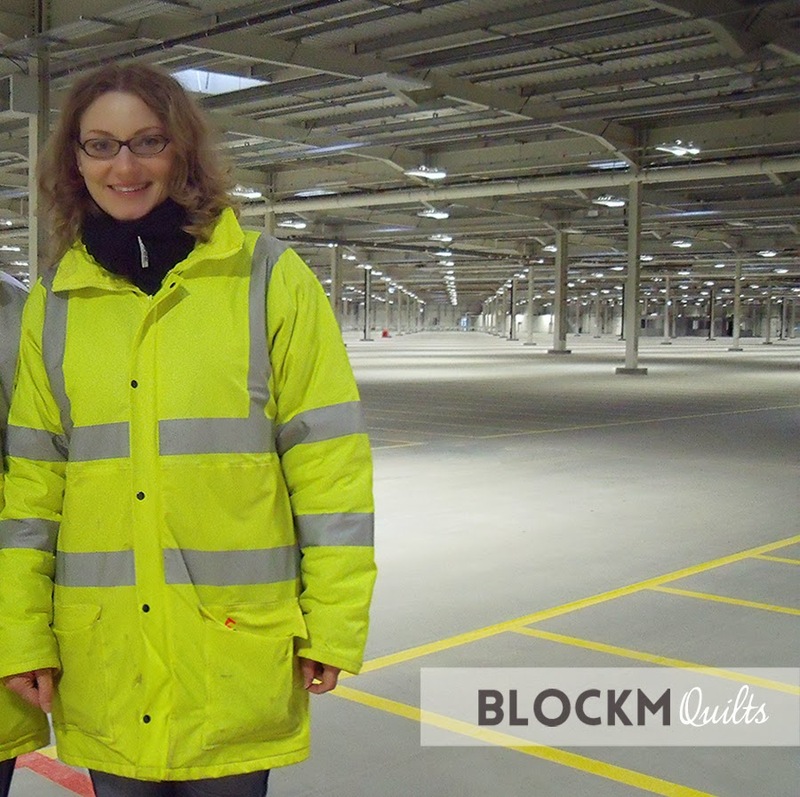 I worked for almost 14 years on building sites managing the construction process, writing specifications, doing quality and cost control, assessing and approving invoices up until the hand over to a happy client. This is a very rewarding but also a very stressful and time consuming job with very little design input or space for creativity. Unless you consider it creative to solve problems of how the air duct clashing with a cable tray can be re-routed without having to lower down the suspended ceiling; all on time and budget of course. I didn't really miss being creative until I've seen and touched a quilt. I knew I had to make one myself! Suddenly a whole new world lay in front me and I found a new way of expressing myself by way of making something hand crafted, something individual and on top something what gives you warmth and comfort. I made a decision to change my field of work shortly before that quilt encounter, so I guess this was a happy coincident. So why do I create what I do? Because I can! 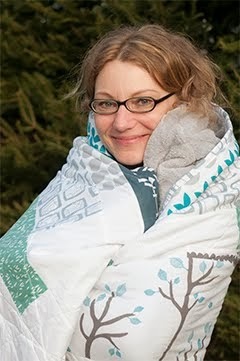 Because designing, making and finally cuddling up in a quilt is so rewarding and satisfying. Not to mention the reaction of people when you give them a quilt or other sewn things as a present! I have so many ideas and, despite the new job description with almost regular working hours, I still have too little time. So I hope you liked what you read and got some inspiration out of it. There are so many bloggers taking part in this blog tour that I had difficulties nominating someone who hasn't blogged about it already. So if you are a blogger and if you haven't blog hopped around the world please feel free to feel nominated! Please comment here and let me know what you're up to! 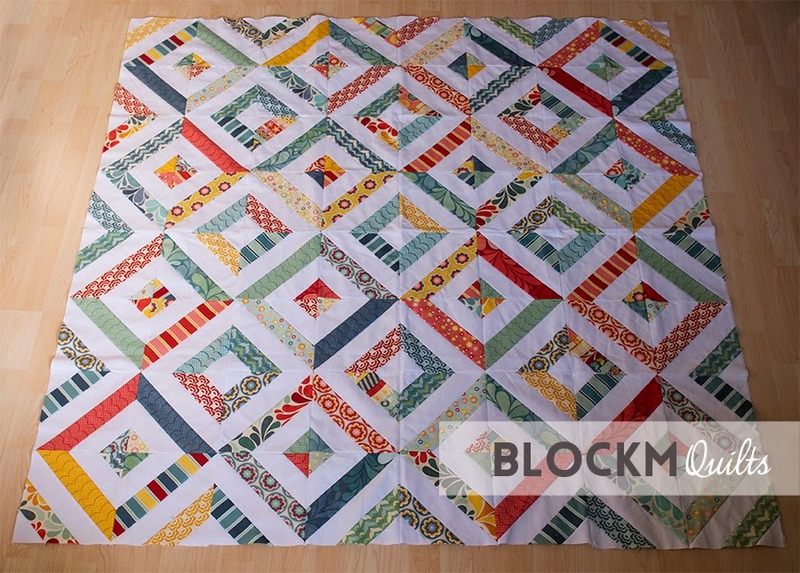 I'm linking this to Quilt Story, Freshly Pieced and the German Monday Makers aka ayliN-Nilya and Suleon. I have lots of lovely friends who love these little things which make them feel special and me feeling thankful that I have them in my life. Ich habe viele tolle Freundinnen die diese besonderen Dinge lieben, die sie einzigartig und mich glücklich machen dass diese Menschen Teil meines Lebens sind. I made this for a friend who loves pink. Everything pink, because pink makes her happy. Ich habe dieses Täschchen für eine Freundin genäht die Pink liebt. Alles Pink, weil Pink sie glücklich macht. 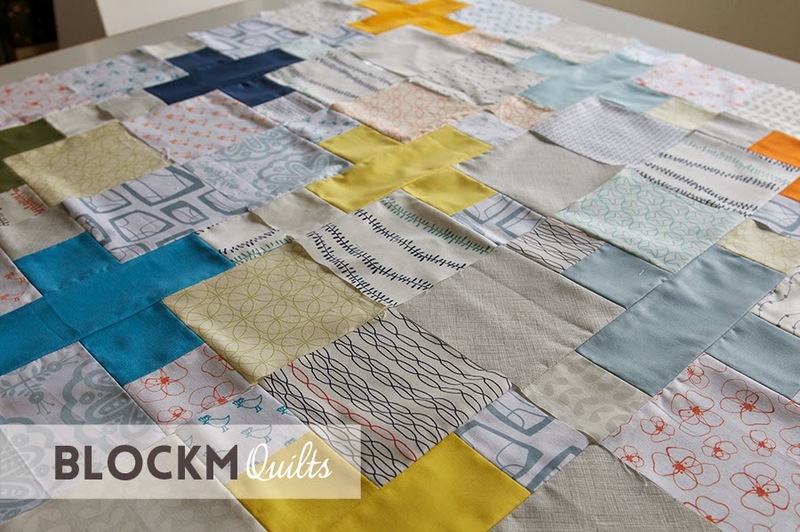 I'm excited to show you my very first baby quilt today! 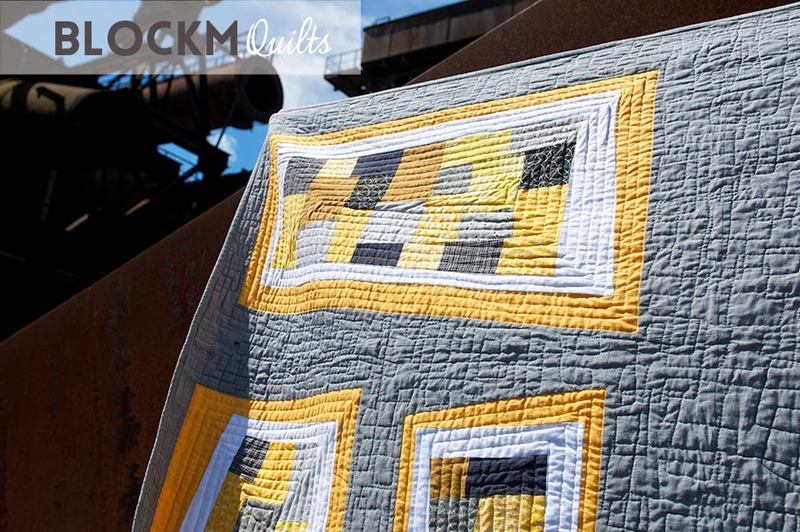 The quilt is made from a selection of pre cut 2.5'' strips I bought a while ago. I added a few more strips cut from my own stash and sorted them from low volume to dark colours. 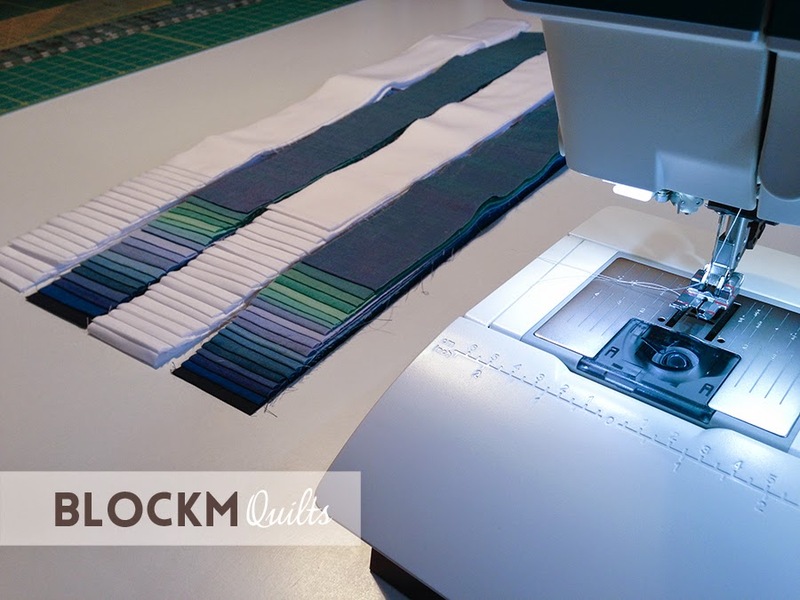 I found this tutorial from 'Cluck Cluck Sew' which uses 2'' strips, my quilt is a bit longer using the 2.5'' strips. 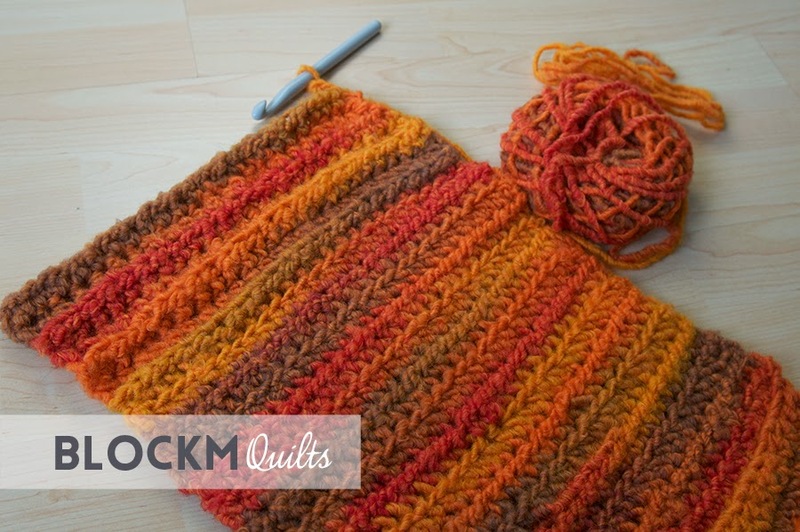 The tutorial is called strip & flip, it's super simple and as Allison from Cluck Cluck Sew says 'Fast, fun, and CUTE!' 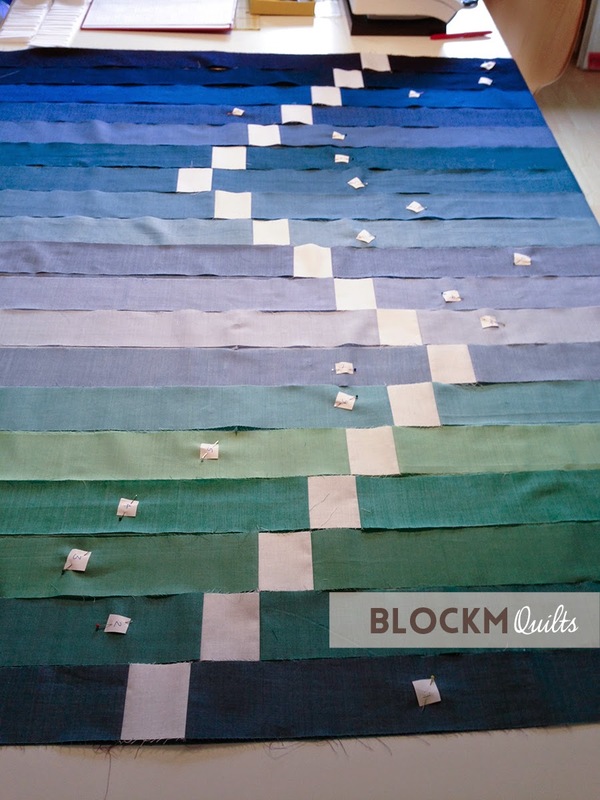 You basically cut a narrow strip out of the quilt top, sew white strips to the left and right, flip it around and sew it back together again. The fabric strips I used are mostly from the fabric line 'Home School' by LB Krueger for Windham Fabrics, I also used the same fabric for the back. Part of the fabric line was this beautiful ABC panel, I just needed to include it! 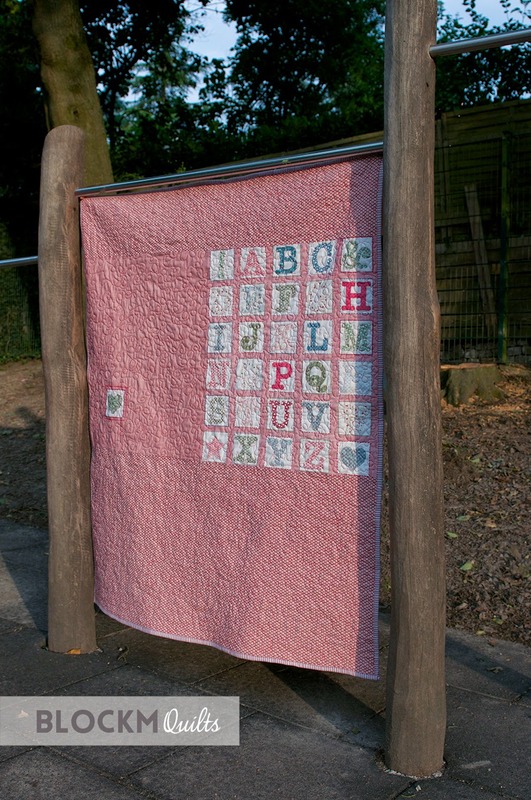 I took the quilt to a local primary school playground and found lots of great locations to take lovely shots of this little beauty! The ABC fabric had two panels and I cut one little heart out of the second one and used it as label. That was just the perfect place for it! 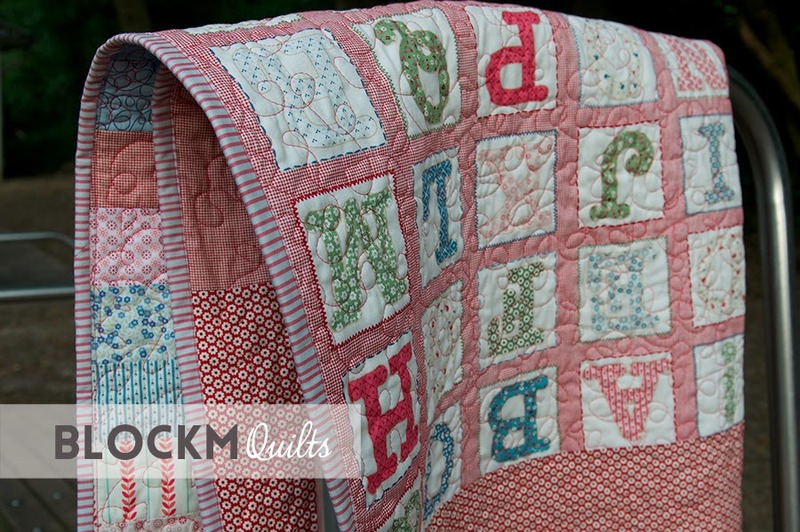 I quilted it with swirls and double swirls, obviously that needs a bit more practise... 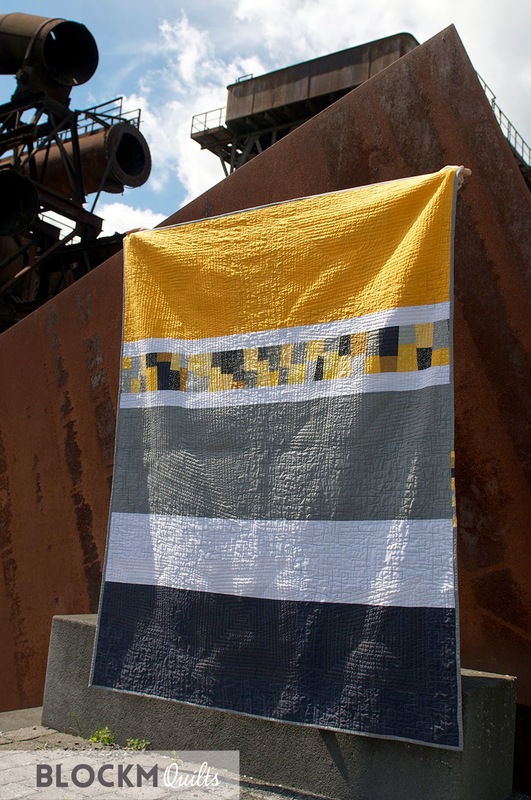 But I think this suits the quilt and breaks up the straight lines of the fabric strips. And for the first time I used stripy binding! This is just perfect for a little baby girl's quilt. So there it is, nicely wrapped up. Lara, Mumy and Daddy were very happy, and that made me happy too! Selfmade birthday presents are the best! I just quickly want to share another open wide zipper pouch I recently made for my good friend's birthday. 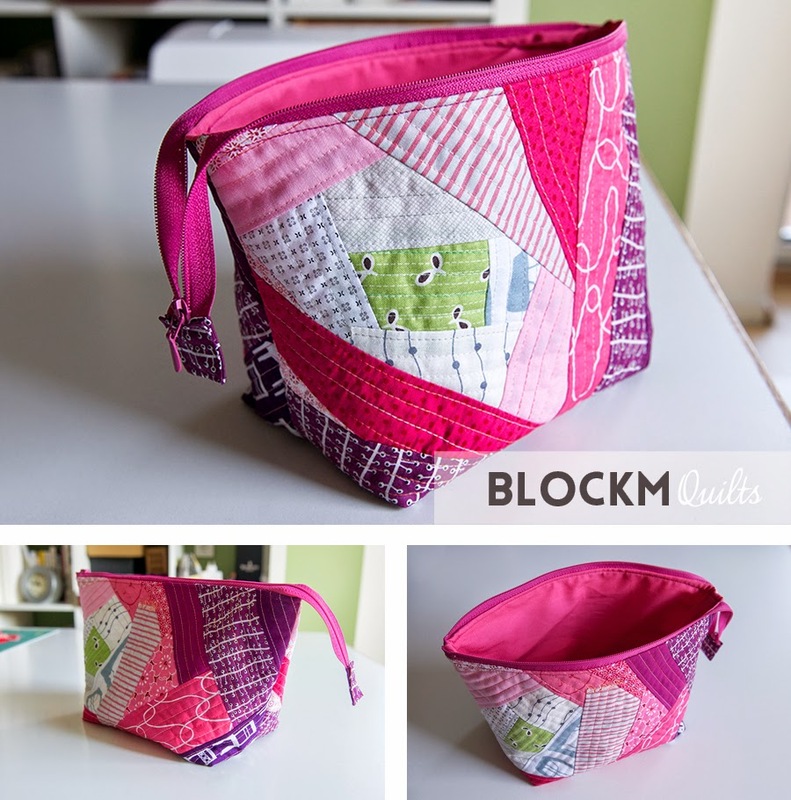 It is the medium size open wide zipper pouch following the free tutorial by Noodlehead. I used the beautiful fabric from Amy Butler and combined it with linen and a bias tape. Zipper pouches are not my favourite things to sew (zippers and me need to become better friends I think...) but you quickly have a nice result and in the end it is a lot of fun. And giving away a selfmade present is always a great thing! Like many quilters I am working on a lot of things at the same time. I finally want to make my very first quilt top into a quilt! 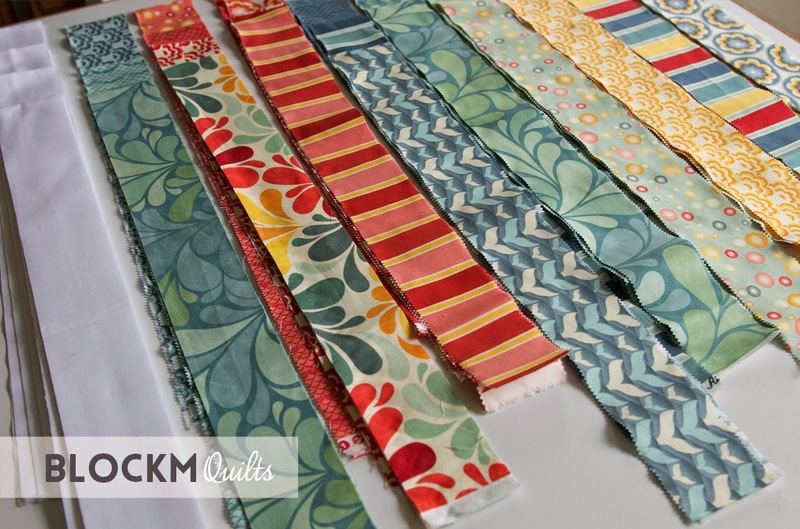 I used four pre- cut packages of 2.5'' fabric strips, two are Kona solids white and the other two are the beautiful Oakshott fabrics in various shades of blue. 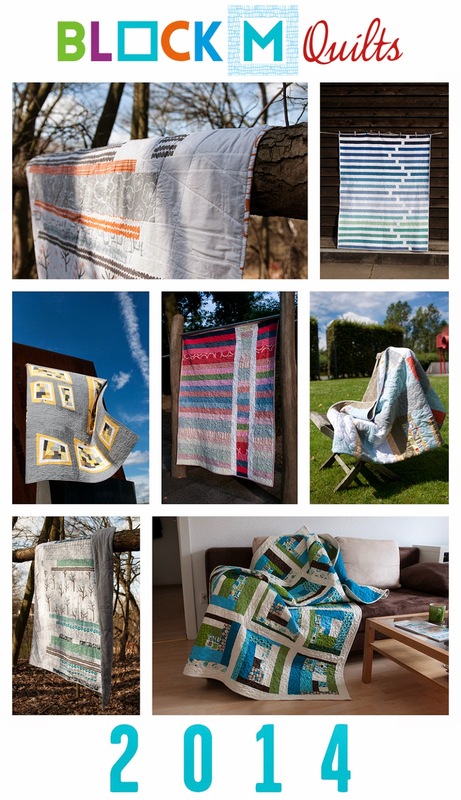 All bought in my favourite local quilt shop Quilt Cabin in Dortmund. 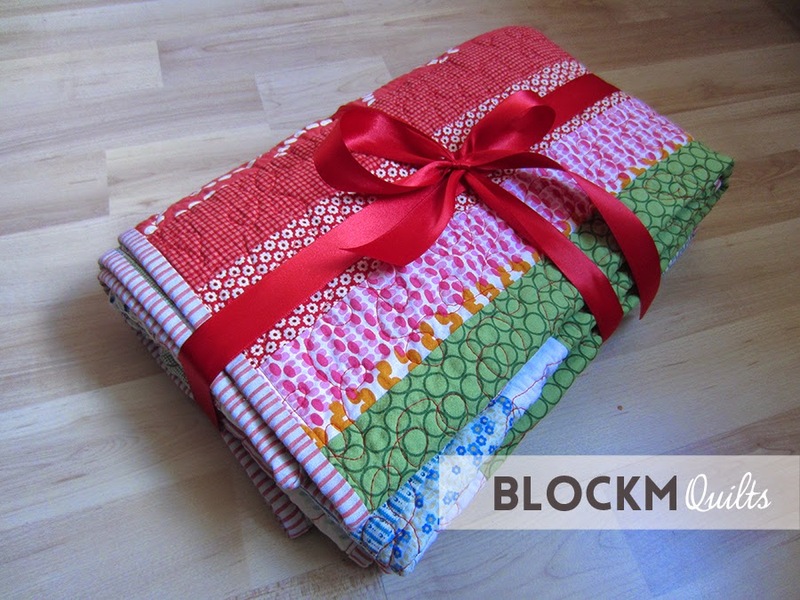 I got inspired by the book 'Little Bits Quilting Bee' by Kathreen Ricketson, founder of WhipUp.net. 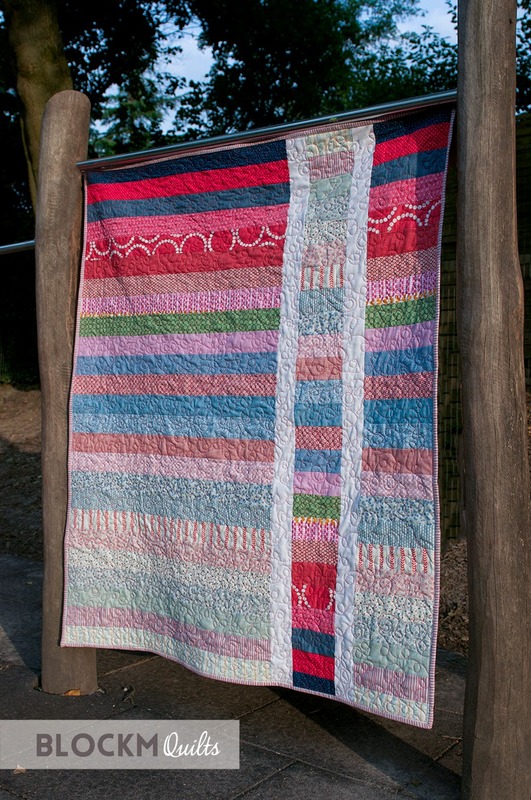 Her quilt 'Step lively' is made from jelly rolls too, here's a link to a photo of it. I included white squares and between every blue strip there will be a white strip. It gets me now that the very first quilt top I made was my own design already, I only followed the principles of the method used in Kathreen's book, I guess that's not too bad! 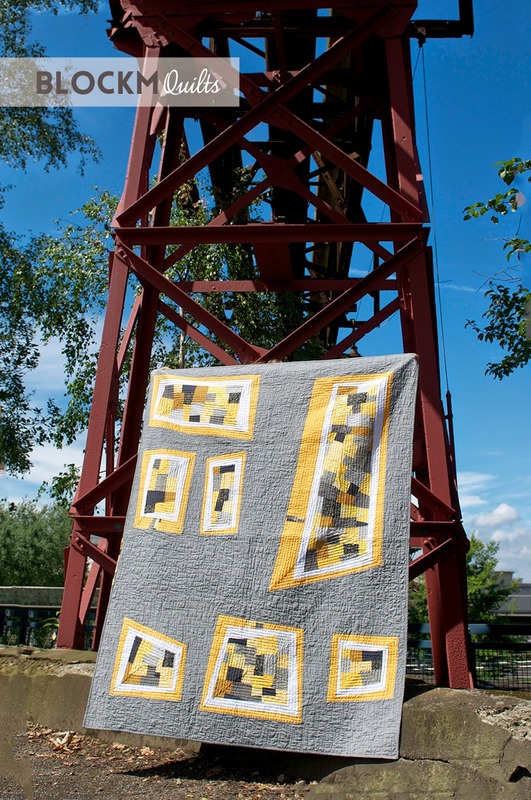 Sadly Kathreen passed away last year just shortly after I discovered her blog and it's really great to see that her blog is being continued and will inspire many quilters and crafters around the world. I bet she would be proud. I mentioned this quilt top already in my very first blog post, I left it laying for quite some time as it got too big for me to handle at the time. Now looking at it I thought it still is too small to fit our king size bed so I just cut it down to a lap quilt size and that works better. 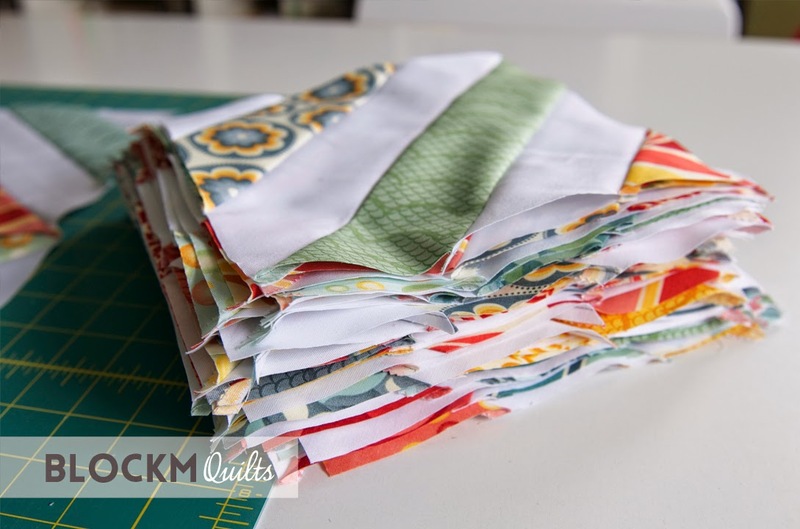 I have the quilt sandwich ready for quilting and soon it will be finished! Yay! I fell in love with a fabric line! Hopelessly. The fabric line has been released in 2012... I didn't even know what a quilt really was at that time! 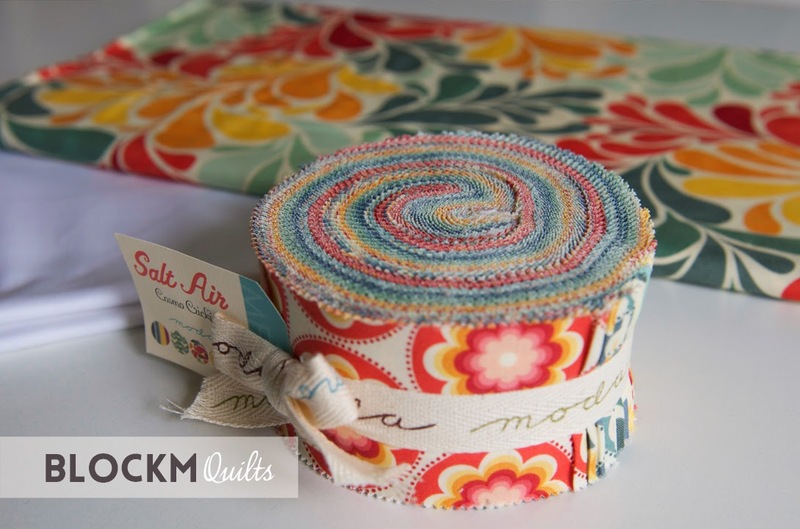 You probably have seen it before, it's 'Salt Air' by Cosmo Cricket for Moda Fabrics. 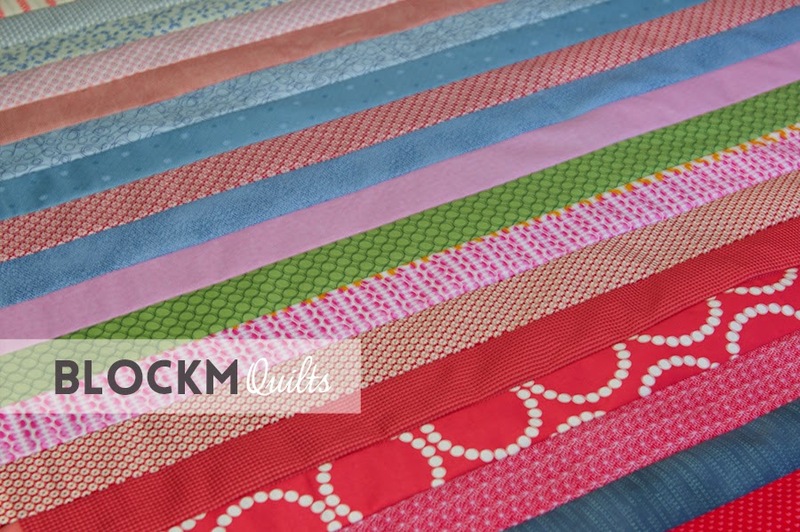 Ever since I've seen this beautiful quilt from Cynthia of Ahhh... Quilting I needed to have this fabric! 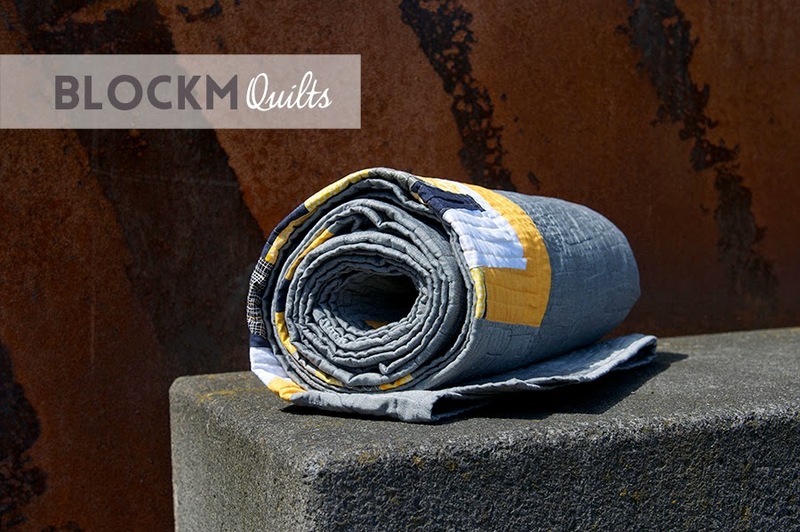 So I searched everywhere and luckily one of the German online shops, Quiltmania, where I usually order my Kona Solids had a jelly roll left and a view metres of the beautiful fabric you can see in the background of the photo above. I was looking what to do with the fabric, there are so many tutorials on what to do with jelly rolls, I had a hard time picking a design. I found two designs which I liked, both actually using the fabric line as well: One is from the Moda Bake Shop and one is from Shontelle of England Streets Quilts. She provides a PDF download for free! And that's the one I'm going to do! 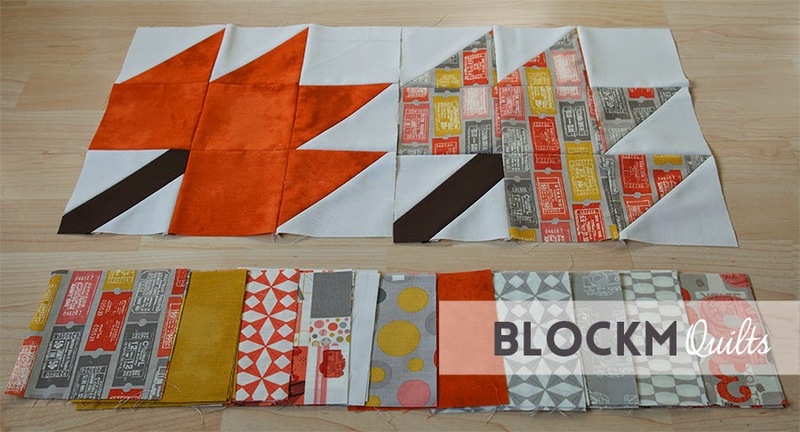 I have all the blocks finished and I'm putting together the quilt top within the next couple of weekends. I'm really looking forward to this beauty! Annie from Busy Bees Patchwork, Newport, South Wales, UK, was so kind sending me fat quarters she had left from the line. She still has some left, if you are in urgent need here's the link. And for the first time I also ordered fabrics from the US. Jimmy Beans Wool had a sale on a couple of weeks ago. 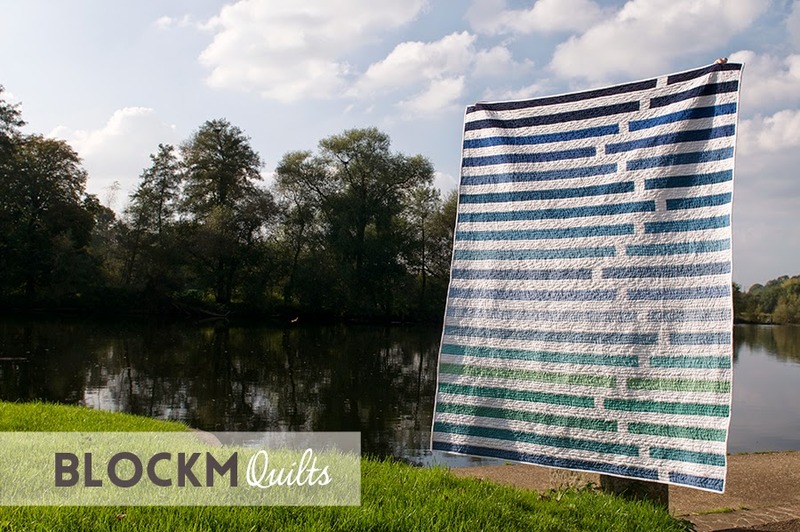 I have so many Salt Air fabrics now I can actually make another quilt! Happy days! I have another finished quilt to show today! 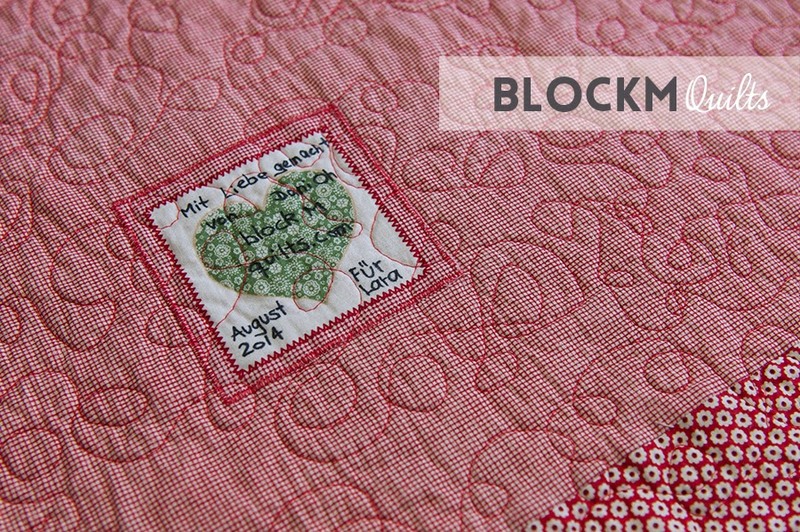 I have blogged about this quilt in my Quip #1 but during the quilting process I thought that the name 'Shattered' didn't do the quilt any justice. So she needed a more suitable name. My husband and I took photos of Phoenix at an old steel production plant, the Jahrhunderthalle in Bochum now turned into a cultural venue which is part of a heritage trail presenting the steel and coal mining history of the Ruhr Area. The rusty steel structure of the buildings seemed a perfect setting to have Phoenix shine. All solids (apart from the white) are Oakshott fabrics, they have two different coloured weft and weave which gives it a beautiful depth and vibrant colour. 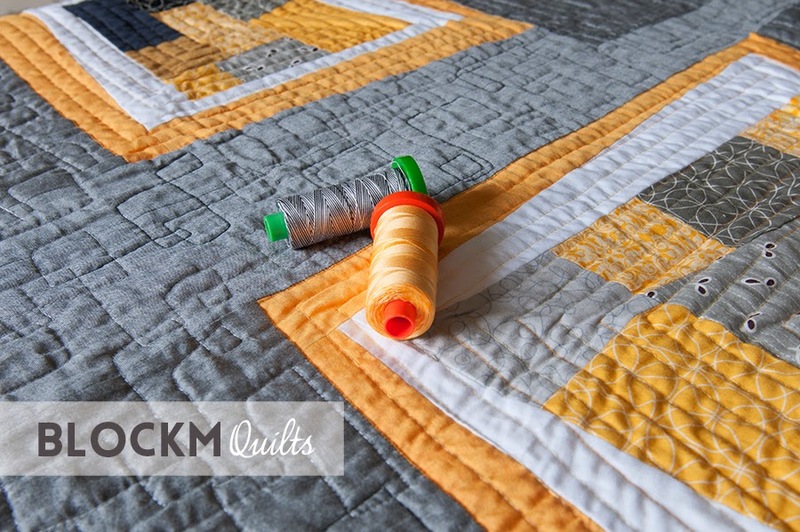 I quilted the yellow/ grey patches in the multicoloured Aurifil thread and the grey fabric with the black/ white thread. unfortunately some puckering appeared in the centres of the yellow/ grey patches. I was quilting with straight lines working my way from the outside in... should I have done it the other way round? 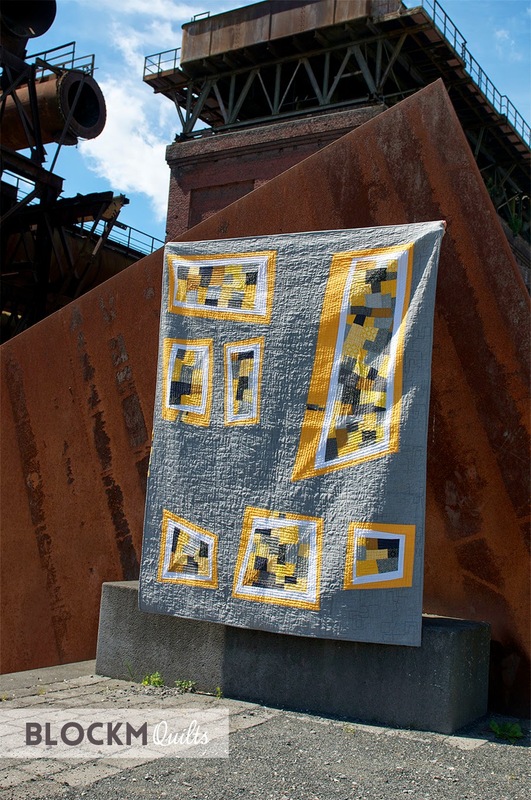 But I am really happy with this quilt, all the quilting at the grey fabric is free motion quilting in overlapping rectangles. 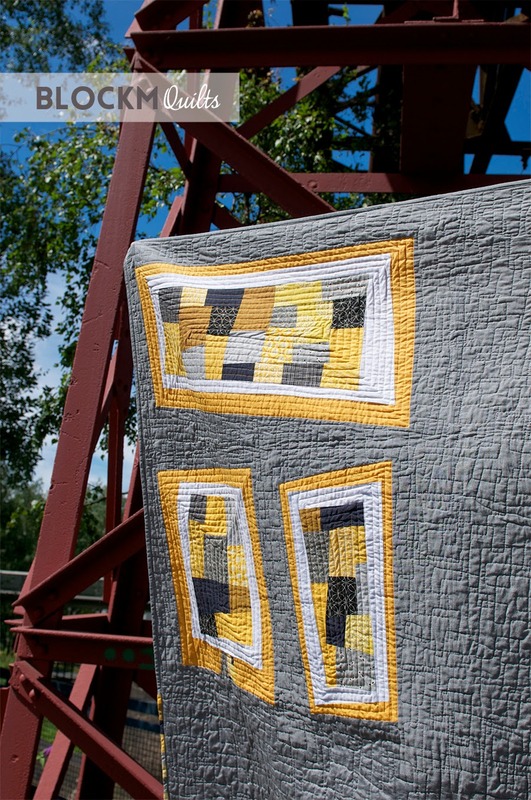 I am more and more confident with the quilting and it's actually lots of fun. So, there she is: all rolled up ready to rise and shine!